With the rise of Bitcoin over the last few years, digital currencies have sparked a discussion around the world, but with the fading of the “Initial Coin Offering” (ICO) boom of late 2017, a new fundraising mechanism, “Securities Token Offering” (STO), has become one of the latest financial innovations that many jurisdictions have focused on. 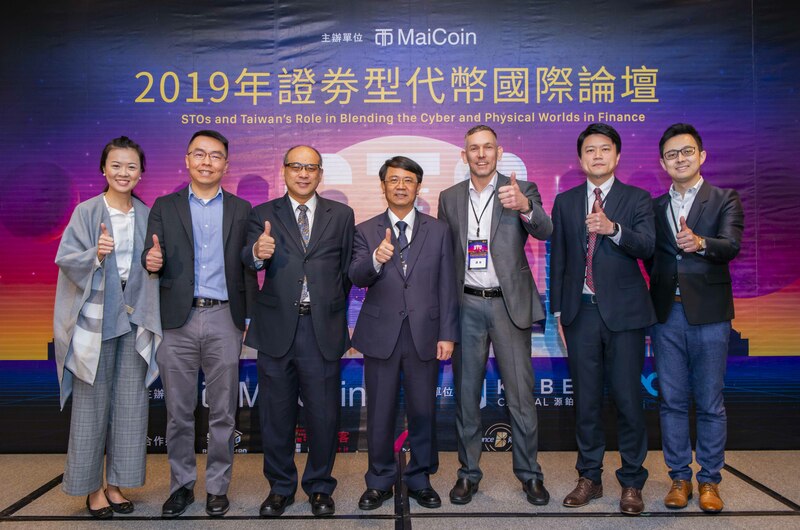 Taiwan's well-known digital currency exchange, MaiCoin, today held the "STOs and Taiwan's Role in Blending the Cyber and Physical Worlds in Finance", with speakers including Cheng-Mount Cheng, the Deputy Minister, National Development Council; Chuan-Zhang Zhang, Vice Chairman of the Financial Supervisory Commission; Jason Hsu, Legislator; Vitalik Buterin, Founder of Ethereum; Thomas Hu, CEO of Kyber Capital, other academic experts and other industry representatives, sharing the current status and trends of Security Tokens, and discussing how to create a new opportunity that applies STO to Taiwan's existing financial structure. The Securities Token Offering (STO) is similar to ICO fundraising but the underlying token is supported by valuable assets. 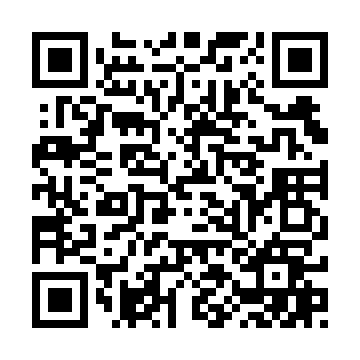 The idea is to combine the advantages of virtual currency with the physical capital market. It is generally deemed more attractive to global capital investment and hopes to bring higher liquidity and other characteristics backed by the physical asset behind the token & the addition of retail participation. In addition, STO is expected to be subject to government supervision, primarily of private operators of STO trading platform services, adding additional security and oversight compared to the listing & trading mechanics that supported the ICO frenzy in 2017. In order to support Taiwan's new venture and ensure investment rights, the Financial Supervisory Commission will develop the relevant mechanisms for Securities Token Offerings (STO) and it’s estimated to formulate standards and specifications related to STO fundraising and trading at the end of June. Meanwhile, the FSC will also continue to monitor developments in other countries. The goal is to adopt a dual-layer framework for STO’s configured according to the fundraising amount, and through sandbox experiment and counseling, endeavour to find out the most suitable fund-raising mechanism for the Taiwan market and the new venture capital model. Cheng-Mount Cheng, the Deputy Minister of the National Development Council, also mentioned: "The blockchain is an emerging technology of disruptive innovation, which is crucial to Taiwan's industrial development in the future. The government will continue to optimize its investment environment and fulfill blockchain regulation and other aspects to provide assistance through its sufficient early capital, and we hope that with the joint efforts of all, we will promote more innovative application of blockchain". ㄌAccording to statistics from the Ministry of Economic Affairs' SME administration in 2017, 97.7% of Taiwan's enterprises are SMEs, and an average of 78 out of every 100 people work in SMEs. This data represents the flourishing development of SMEs that bring more growth and innovation to Taiwan's economy and technology innovation. However, among the 1.43 million SMEs, only 1,760 are able to be IPO; the capital threshold of IPO projected the difficulty of Taiwan's fundraising. Securities Token Offering (STO) breaks the barriers of virtual and real economy, enabling SMEs to cross capital barriers and move toward global capital, helping SMEs gain more capital and new dynamism, thereby promoting Taiwan's economic growth and industrial upgrading. Let the general investment public have the opportunity to reach more local enterprises with growth potential, provide explosive new investment targets, and at the same time drive the overall capital flow, let young people fulfill the ideal of investment and entrepreneurship, and encourage the next generation of new TSMC, Cathay Financial Holdings. Dr. Cheng-Yun Tsang, an assistant professor at the School of Law at National Cheng Chi University, believes that if Taiwan's SMEs want to go international, fundraising on the blockchain should be borderless, offer high liquidity and low threshold. As for the current situation, Cheng-Yun Tsang also mentioned that a structure for legal supervision should be developed as soon as possible to cope with and assist the development of enterprises on the blockchain, and also allow investors to perform their due rights. He said: "The blockchain enterprises must help reduce the information asymmetry between founders and investors and implement fundraising supervision through the application of supervision technology, ecological self-discipline and the wisdom of the masses. At this stage, government agencies and industries should be closely coordinated and discuss the main areas of focus of the financial authorities concerning but not limited to fundraising, governance, investment, anti-money laundering, consumer right protection, supervision experimentation and industry self-discipline. Thomas Hu, Kyber Capital CEO, said that the global digital asset space is booming, proving that high-risk and high-return early technology possesses great potential. As a specific application of distributed technology in the financial field, STO can become not only a new fundraising channel for new ventures and a platform for people to raise funds, but also make up for the shortcomings of existing securities markets. Yi-Tien Hu said: "The emergence of STO is to use the characteristics of distributed technology and the energy of the open source community to create a more free and open new venture capital market, and have an opportunity to reshape the value chain of global new venture financing." STO is called "The Improved Version of ICO". The capital markets of Europe, America, Hong Kong and Singapore are relatively mature and the fundraising channels of enterprises are relatively smooth. However, Taiwan's capital market and investment environment are relatively closed, and foreigners are more difficult to participate in investment. STO will likely change this situation. Alex Liu, founder of MaiCoin Group, said: "Taiwan's sufficient human resource and financial capital, as well as a vibrant and tolerant civil society, make Taiwan suitable for trying new models, developing a new financial system, and breaking the barrier of Internet and the physical world, so that the financial market, the Internet of Things and artificial intelligence for the global market can be combined. After the official STO regulations are ready, the offering and trading of STOs need to meet the various issuance conditions and information disclosure standards and norms of non-governmental trading platforms. Believing that can not only ensure a new flexible development space, but also protect consumer rights, reducing fraud risks and strengthening investment confidence. In addition, STO will be a new opportunity for Taiwan's financial industry. Especially after Taiwan's opening of STO, there is an opportunity to increase domestic capital flows. Due to borderless and 24-hour circulation of virtual currency, if IPO enterprises can offer a certain proportion of shares and dividends for STO, it will attract investors from worldwide to notice Taiwanese ventures and more funds to flow into Taiwan to help Taiwan become the Asia-Pacific financial center. " Jesse Knutson, Institutional Sales Ｄirector of MaiCoin, is also optimistic about Taiwan's diverse advantages. He mentioned: "Taiwan's strong technical capabilities, respected regulatory system, free and open society and low cost of corporate operations are all excellent opportunities for implementation of securities token. With STO, it can create a new capital market for the Internet generation, and at the same time help Taiwan to break through the economic and political hurdles that have existed in recent history, and encourage new foreign ventures to land in Taiwan. One other potential benefits of the STO, is that investment funded in digital currency does not affect the exchange rate of New Taiwan Dollars, and it also provides new jobs and investment opportunities for young people in Taiwan." 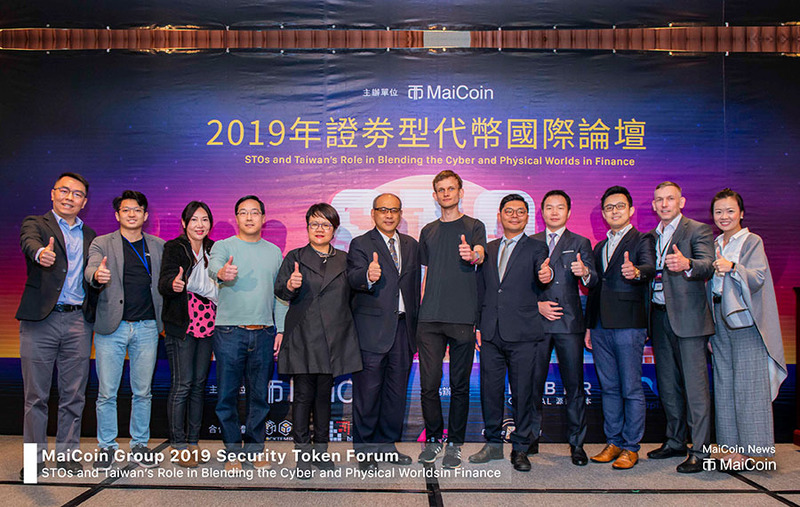 MaiCoin and related companies are actively communicating with the Financial Supervisory Council (FSC) on securities-based tokens. Michael Wong, Managing Partner of MaiCapital from Hong Kong, also shared the status of the sandbox experiment in Hong Kong. Through intensive consultation and guidance, the experimental team needs to perform a sandboxing process for at least one year. Michael Wong also said: "Taiwan's regulatory framework and sandbox situations are flexible and able to meet industrial demand, and therefore should generate more high-value entrepreneurial teams." Khai Lin Sng, Founder and CFO of Fundnel from Singapore, also said: "We are very pleased to work with industry leaders such as MaiCoin, who are working hard to provide new reference standards for future investments through the STO. The tokenization of assets allows high-growth companies to raise funds through efficient and low-cost methods, and the value of STO is increasingly recognized by regulators in the Asia-Pacific region. This way to increase capital is an important breakthrough to narrow the financing gap, meanwhile it’s also a challenge that Fundnel has been working hard to solve. In fact, Fundnel has collaborated with MaiCoin and Zilliqa to form Hg Exchange, the first private membership exchange in Southeast Asia, supporting the unlisted company's stock issuance and trading, including Securities Token. Fundnel's long-term vision is to make it easier for more investors to obtain investment opportunities for unlisted securities. MaiCoin Group is Taiwan's oldest digital asset trading group, providing various virtual currency trading services such as: MaiCoin platform, MAX Exchange, MaiCapital, AMIS. MaiCoin Group has been operating its digital asset brokerage business since 2014: MaiCoin provides users to purchase virtual currency such as Bitcoin with the use of NTD, and it’s the first trading platform in Taiwan to offer NTD to exchange ETH and LTC. 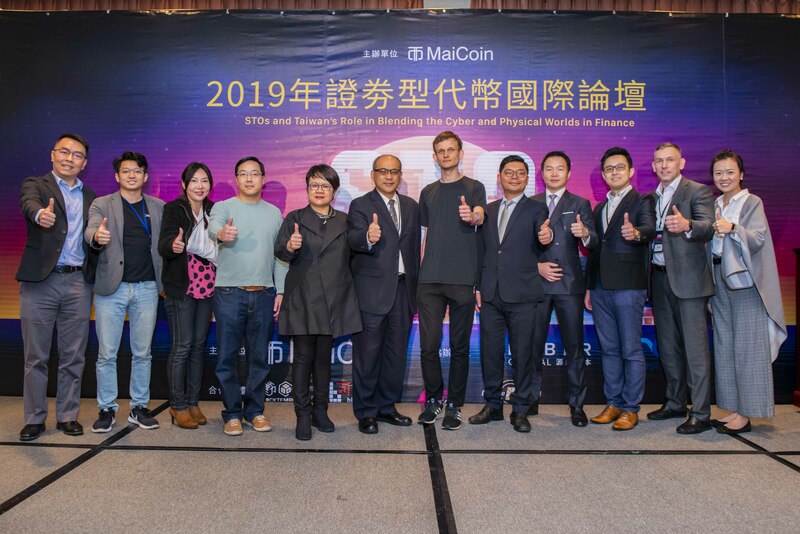 At the beginning of 2018, the MaiCoin Group established the MAX Exchange to provide currency and NTD transactions to virtual currencies. After seven months of launch, the transaction volume broke through NT$5.4 billion and ranked 15th on the global exchange. MAX is also the world's first exchange to transfer user funds to bank trusts. The MaiCoin Group's business is supported by its sister company, AMIS. AMIS is an enterprise blockchain company and founding member of the Ethereum Alliance. In 2017, JP Morgan's Ethereum platform, Quorum, announced its adoption of the AMIS Istanbul Byzantine Consensus Algorithm. AMIS has since contributed to the Casper proof-of-stake consensus agreement and developed a world-class Plasma expansion solution for business applications. MaiCapital is a hedge fund company that uses quantitative analysis to invest in blockchain technology, virtual currency and alternative assets. MaiCapital is licensed by the Hong Kong Securities and Futures Commission (SFC) to legally raise funds from certified investors. Open: 10am - 6pm, Mon. - Fri.